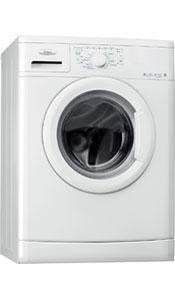 Hoover 8kg Washing Machine £239.00 @ Appliance Deals. 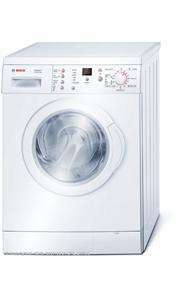 Model Number DYN8124D A+ Energy Rating, 1200 Rpm Spin Speed, Comes With 1 Year Manufacturer's Warranty & Free Delivery. this machine is very good. fits loads in and the shortest wash is only 14 mins. I work on luxury motor yachts, which have washing machines installed - harsh test environment? how many houses move in waves at 30+ knots. Anyway, Meile machines have massive failure rate and poor back up, Zanussi on the other hand, we hardly have a machine go wrong. and as for Bosch, I had one at my last house and it went wrong at 8 years old, a spring snapped, bought online for about a tenner straight of Boschs website, and parts diagrams, fixed two days later. You can't get that service with a Miele, trying to get parts out of them is a mission in itself. Not as good as the Tesco deal a few weeks ago but still a good price and cheaper than Argos. Also at appliances online don't forget 2% quidco too! I've got two Beko fridges and one Hotpoint. The Hotpoint has given me nothing but trouble for the first 2 years. The Beko's have had next to zero maintenance and running great 3 years on! Thanks, glad to know their washing machines are decent too. Now to decide: buy now or wait 1 week for January sales. We've had a Beko washing machine for the last 5/6 years and its been faultless. Only paid around £200 for it. I wouldn't hesitate to buy another. Are Beko washing machines any good? Never had one before. I dunno, this place - last time this was on it got 330, now it barely scrapes 24! :) If anyone does have a suggestion for an alternative cheap washing machine, I'm all ears. Great though this is, it's still around £50 more than I want to spend. Do you have the model number in case this is gone by the time I move? Cheers! Maybe a nice washing machine but in terms of reliability after warranty runs out they tend to break down,mothers was 13 mnths old mnth out warranty and broke down, ive heard lots of storys about bekos a few years down the line they are very unreliable! great washer and a good price quite deep so measure up first! Past it with you i am afraid. All you do is lie and troll to provoke a reaction. You get asked questions and asked to provide proof and you just ignore any requests yet you are quick enough to jump on the 'proof wagon' yourself. You seem to be the one obsessed. Think you need to take a good long look at yourself. You are just one big lie. You get a kick out of winding people up on this forum and spouting dross and rubbish about anything that will get a reaction. Looks like I was right! It has gone up to £637. Oh well you missed it! Great power consumption at 154 kWh/year! Small capacity though at 70 litres net. Hot! Our 12 year old Bosch washing machine gave up this afternoon. It sounded as though it was on its way out with a nice metallic smell to our washed clothes! Managed to order this Siemens for next day delivery with 10 minutes to spare. Siemens and Bosch machines are made in the same factory. 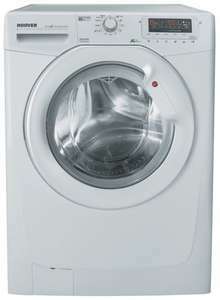 This Siemens is £569.99 at Currys with free delivery, install and old machine disposal. 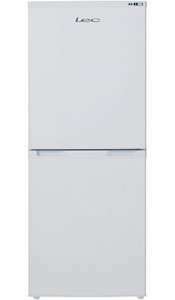 With next day at Appliances Direct we're paying £435 with next day delivery, disposal and a viking plumb job. But a 5 year warranty compared to Currys. £12.49 cashback from Quidco tracked today. Price has changed again on web site - now £391 not £367. Still cheapest around... just not such a great deal. Got one of these last week from Co-op electrical. Paid £360 so this is a good deal. Topcashback tracked at £10.93 this morning, even more smiles from me, now look forward to the delivery on 11th March. A few years ago when I was shopping in Currys for a washing machine I asked a sales assistant about an Indesit one, he said avoid them, in the trade they are known as Indesh*t. I was somewhat taken aback by his responce but appreciated his blatant honesty. Yes, they are all condensers. I wouldn't touch an Indesit personally but not everyone has the money to buy something better. I take this is a vented not a condenser dryer/washer:? now @ £270 inc delivery..
Nice One !! Heat Added.................to A Fridge ????? A washing machine engineer's nightmare, I've been put of buying another Indesit, read far too messages in many forums warning me not to, plus having had an Indesit machine that needed one thing or another doing to it on a too frequent basis Won't vote hot or cold as can't tell you if the price is any good for this model but I would rather now pay a few extra quid for a decent brand with better reliability and less maintenance issues. It may be cheap but Indesit have a very poor reliability record. We had 3 bearing changes on ours, would never buy another one, the electronics go wrong too. Unfortunately Hotpoint used ot be good, and will probably go the same way if they use copmmon parts now. Anyone who's looing for a high-capcity wash machine... bear in mind (from experience) all these stated weights 8Kg, 7Kg, 9Kg etc... are only guaranteed on the longest wash-cycles. You put 8Kg in the quick-wash or normal 40min wash and see what comes out! It will probably not be washed well and full of soap suds still. Even Bosch's 8Kg machine (of which I own one) only recommends 8Kg on the 2hr wash.